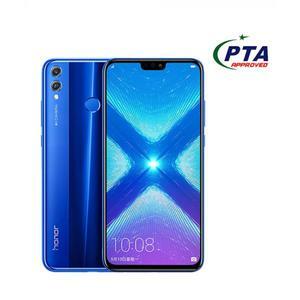 The Huawei Honor 8X is a midrange smartphone that couples together a powerful chipset with an excellent camera and stylish design to provide you with great value for money. The 2018 reiteration of the Honor 8 is one of the leading midrange smartphones that you can get your hands on. 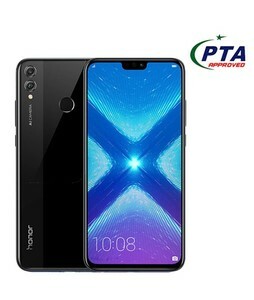 The Lowest price of Huawei Honor 8X in Pakistan is Rs. 37,499, and estimated average price is Rs. 37,732. The prices are collected from the best online stores in Pakistan like iShopping.pk, Shophive, Daraz.pk, Qmart.pk - updated Apr 2019. The Huawei Honor 8X is nothing short of beautiful when it comes to its design. 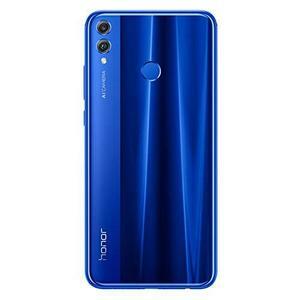 The Honor 8X features the standard notched, glossy design that we have become accustomed to with Huawei. 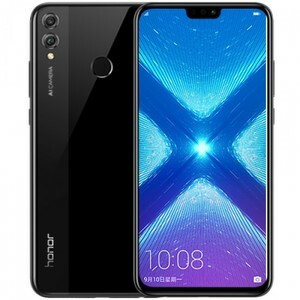 On the front of the Huawei Honor 8X, there is a 6.5-inch bezel-less display that has a compact notch containing the earpiece and selfie camera. On the metallic back, the familiar dual-camera setup can be found on the top-left while the super quick fingerprint scanner is placed on the center for easy accessibility. 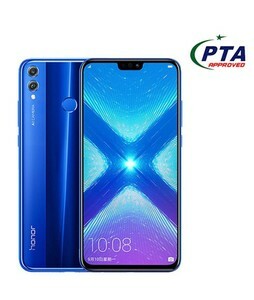 Other than the aesthetic looks, Huawei has made use of solid material for the Honor 8X which means that the smartphone is quite durable against falls and drops. It is not water-resistant or dustproof though, so you should be careful when going out on a rainy day or to the pool with the Huawei Honor 8X. Huawei is not a big fan of OLED displays and you will rarely get to see them in the Honor series of smartphones. 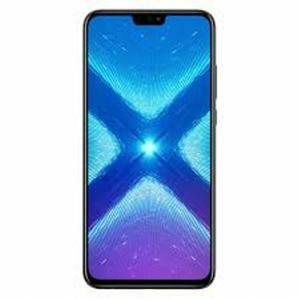 The Huawei Honor 8X, following suit, sports a 6.5-inch IPS LCD display that is set at an impressive FHD resolution with a sharp pixel density of 396 pixels per inch. The color reproduction is quite impressive, and the contrast is pleasing on the Honor 8X – you can easily use the smartphone for playing HD games and watching high-definition videos (the large size of the screen really helps). The sunlight legibility is great too, so you will have little complains about the overall quality of the Huawei Honor 8X’s display. The Honor 8X is packed with Huawei’s own brand of chipset i.e. the HiSilicon Kirin 710 which is a new and improved midrange chipset. The powerful chipset comes with an octa-core processor, a Mali-G51 MP4 GPU, up to 6 GB of RAM, and up to 128 GB of internal storage. On paper, the Huawei Honor 8X looks like a solid performer and the benchmarks prove this since the smartphones scores an impressive score of 139,427 in AnTuTu 7. 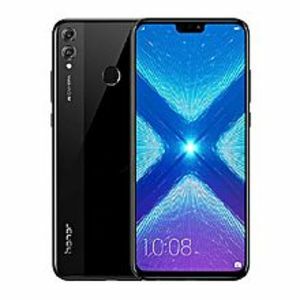 The Huawei Honor 8X is able to make its mark against midrange smartphones in the same price bracket. The great performance is what makes the Huawei Honor 8X a superb all-round smartphone. Huawei was always well-known for its smartphone cameras, but it had really set the tone with the camera on the Huawei P20 and Huawei P20 Pro which are regarded as the best camera smartphones of all time. The Huawei Honor 8X takes a few tricks out of the book of great cameras and sports a handy camera itself. The camera setup on the Honor 8X consists of a 20 MP primary sensor with autofocus and a 2 MP secondary camera for depth sensing on the back. On the front, there is a high-resolution 16 MP camera with HDR. The overall camera performance of the Honor 8X is quite pleasing with detailed photographs that have superb colors. However, lowlight photographs contain a lot of noise and are not as life-like as daytime photographs. The selfie camera is great too and it can take some high-quality pictures that you would gladly be able to share on the social media. 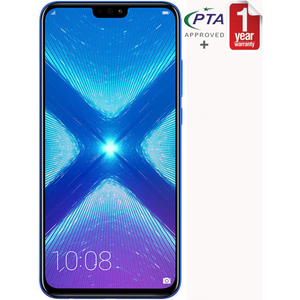 Huawei has accompanied the massive display on the Honor 8X with a sizeable non-removable Lithium Polymer 3750 mAh battery. The battery life is not the best out there but the Huawei Honor 8X manages to get you through most of the day with moderate to heavy use (which is what you would expect from a phablet). The good thing though is that the Honor 8X supports 10 W charging which can charge the smartphone to full capacity from zero in just under 2 hours. The image quality from both cameras is excellent.